Bangs are acceptable as they can help you look younger. It is important to keep them styled and not too thick. Also, have them styled to one side so they do not completely cover your forehead. If you want to look sophisticated and elegant, you should brush your curls back, thus opening your face. 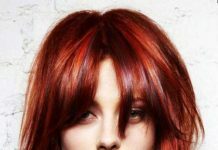 Shaggy hairstyles appear awkward and sloppy. 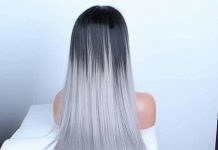 To help you look years younger, consider lighter hues for your hair, stick to blonde or brown highlights unless you are one of those women who can rock those silver locks. 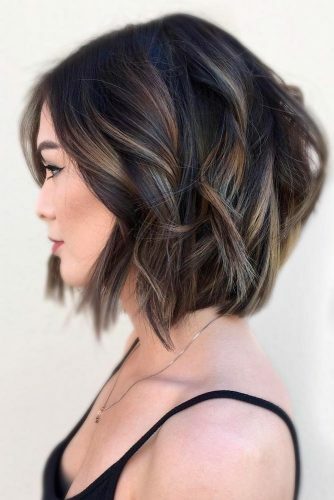 Remember to keep in mind your hair texture and the shape of your face when you are considering a new do, luckily, there are plenty of short hairstyles for round face, square face, triangle face, and oval face. 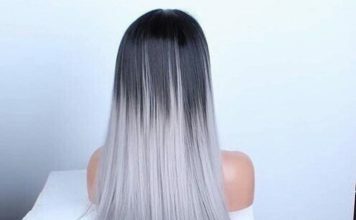 Fine hair looks better when cut into layers. Thicker and curlier hair looks better with elongated styles. 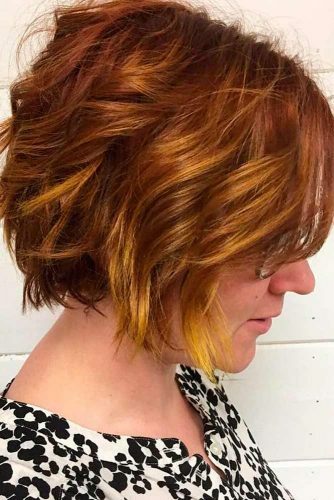 Adding a golden color to the front of your short haircut will add warmth to your complexion. It also makes your eyes brighter and gives your hair a youthful glow. 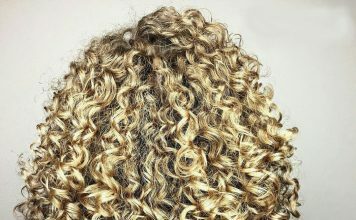 If you aren’t feeling bold and have naturally curly hair, why not add some soft flicks all over for a tousled, soft look? 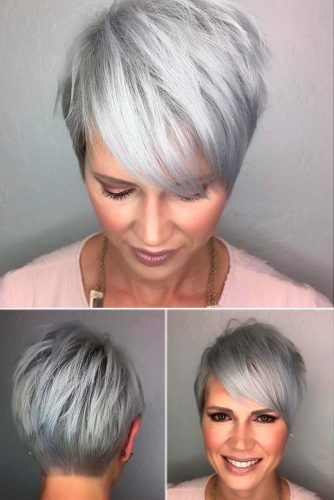 Short hair looks striking with a silver tone as it appears both chic and cool all at once. 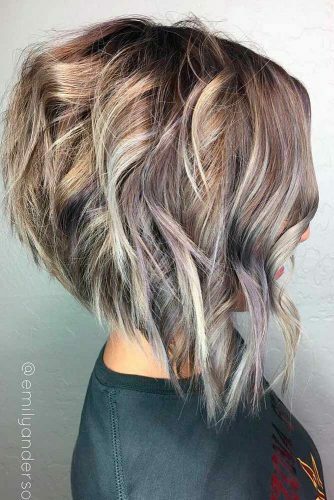 If you want to add some depth, mix in a darkish hue at the roots (we recommend a deep charcoal hue). 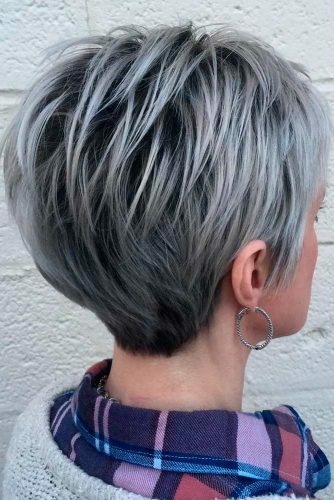 A messy spiked style not only looks cool and chic but adds volume to thin hair. Don’t opt for gel, however, as it tends to leave shorter hair looking brittle and crunchy. Instead, opt for a putty to help mold your hair and give it a softer look and feel. 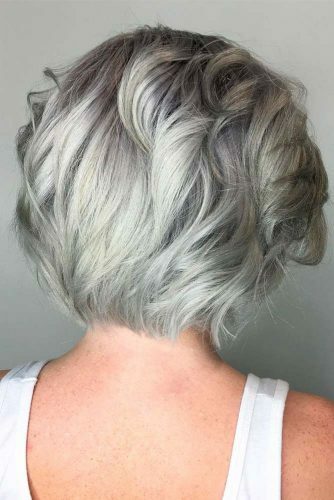 While hot curler is perfect for a short term fix to add fullness to shorter cropped styles, soft rollers are a great way to achieve the same look. If you have the time, roll your hair before going to bed and wake up with fuller hair. 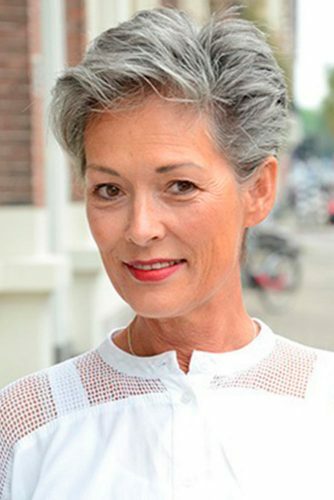 Trendy, feathered short haircuts for women over 50 are perfect for more mature women who want a simple yet fresh look. This style is not only charming, but it can go from casual to formal in a matter of seconds. 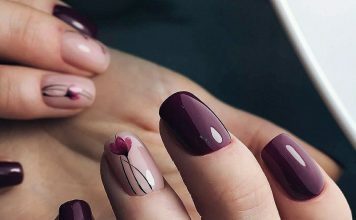 As older women, we tend to want a style that is not only easily manageable but can work for any occasion. 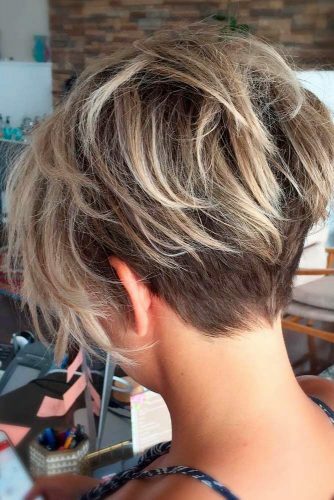 Cropped cuts can enhance natural volume without spending a lot of time on styling. 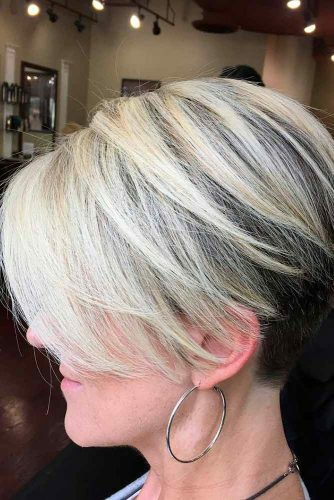 The traditional pixie cut is fun and easy to maintain. 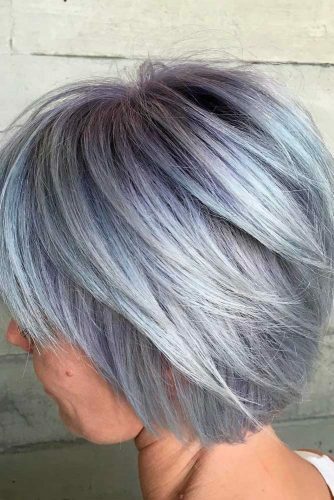 You can color your hair any way you choose and still rock this look with both boldness and confidence year-round. 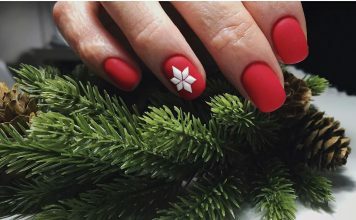 A fiery reddish hue can make you look bold and vibrant. 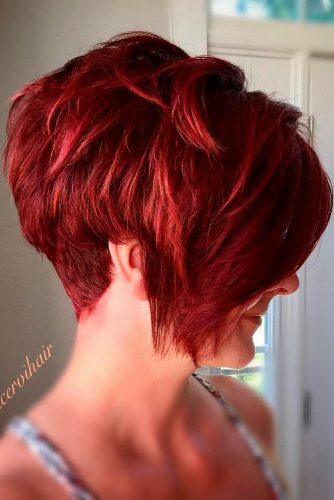 This short haircut is styled towards the face to give you a youthful appearance. An expertly layered cut can give your face a great shape. 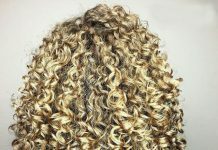 For those with straight hair, you can add extra body by using a large barrel curling iron to flip out the ends. 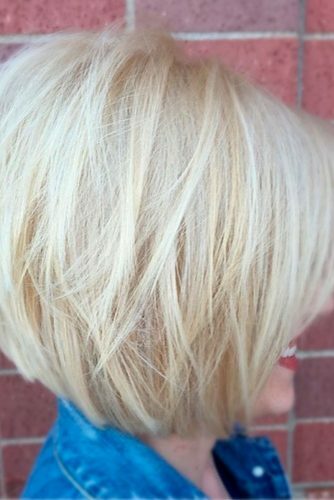 This long bob is all-time, elegant and simple. It makes any woman feel more confident, especially those who are older than 50. 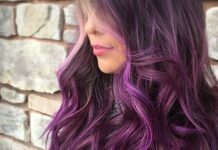 It is extremely feminine and very easy to style as you can choose to either straighten or curl your hair any way you desire. 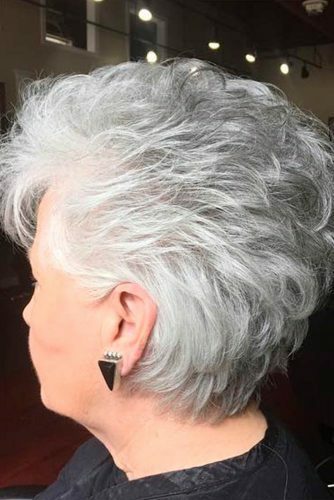 While many shorter hairstyles on older women can be dull, this cropped, yet messy cut can suit women of any age with its adorable wispy texture for a fun and playful look. 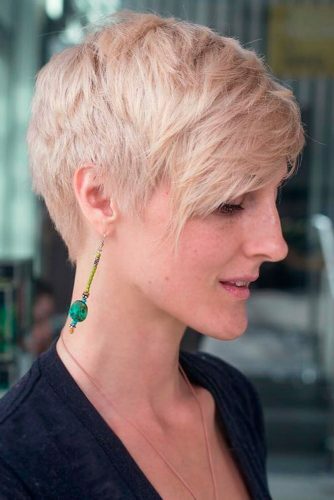 This short but edgy pixie cut with the ends highlighted is great for everyday wear. It is easy to style and will make you feel years younger while making your face look brighter. And your eyes will glow with this adorable, trendy cut. 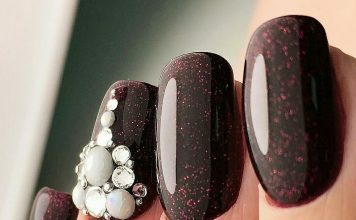 Bobs are all-time and elegant. 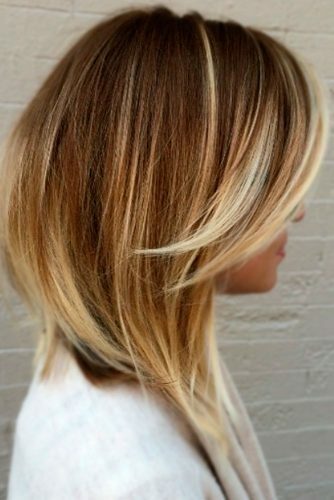 They are the perfect transition from long locks to a short and sassy hairstyle that is not too short. For a modern flair, add layered bangs and bold highlights. 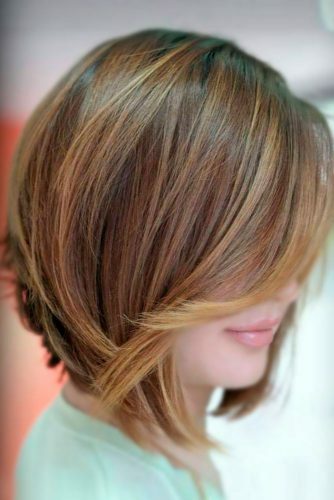 Shorter cuts tend to make fine tresses appear much thicker. 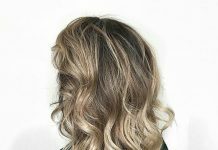 If you add a great color and back-comb your locks, you can subtly add more body to those shorter curls. 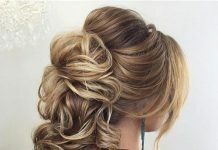 Layered hairstyles add volume on top and an added shine will add texture. This look will frame and flatter your face for an edgy and flirty look. 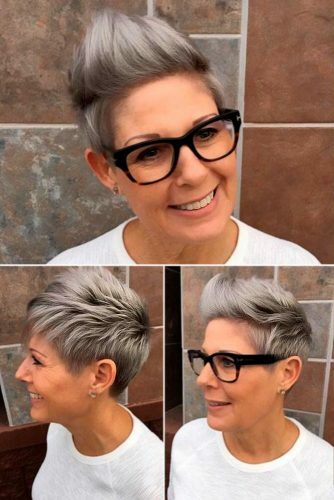 A short, textured pixie with a few casual, yet bold, spikes on top will make you look both sassy and stylish. This look works best on women with oval shaped faces. This trendy style takes sass to a new level. Add some soft layers for added volume, but keep some length at the front in your bangs for a cute side-swept look. 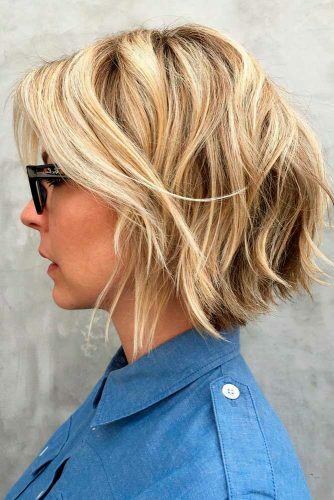 If you want a sophisticated, yet edgy short haircut, opt for longer side bangs with shorter layers in the back. This will make your face look slim while adding volume and texture to finer hair. 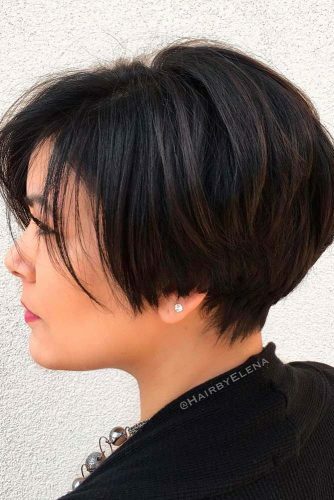 This pixie cut with longer bangs adds a soft yet sassy air. 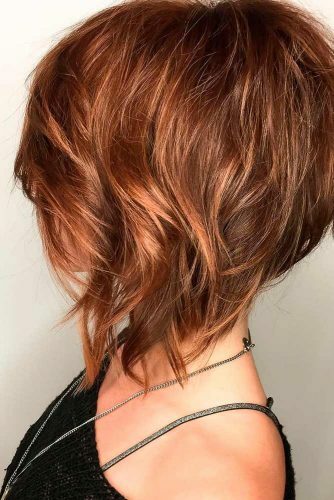 Longer bangs give you a variety of options for cute styles such as leaving them down, spiking them or even pinning them back for a more elegant look.